It started off as an idea almost four years ago – a book to introduce engineering to young children. With the help of Professor Elena Rodriguez-Falcon, the University of Sheffield Faculty of Engineering Communications Team and members from the Women in Engineering Student Society, we have published a children’s book, produced a virtual reality game and now in November 2016, a campaign and microsite based on Suzie and Ricky have all been launched. 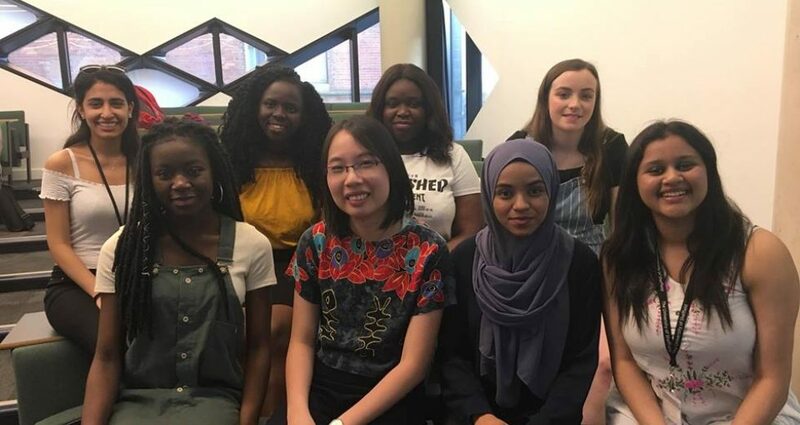 Changing perceptions of engineering has already been established as a need in both industry and academia, and this campaign is one part of our answer to this complex problem. The ‘Engineering Is’ campaign was launched in the Houses of Parliament on November 3rd with backing from the Royal Academy of Engineering. It was a thank you event for our book team who have produced the book but also a new chapter in bringing the full ‘Engineering Is’ campaign to life. Professor Rodriguez-Falcon introduced the book and handed the floor to the three inspirational speakers who each explained why they backed Engineering Is. Dr Rothman pointed out the significance of engineering in the world around us and that engineering is about “finding a creative solution for things that matter”. Mr Paul Blomfield (the MP for Sheffield Central) delivered the keynote speech, describing why he supported the campaign. He discussed how he would like to see more engineers in the sector with the shortages currently experiences across the country. He mentioned how innovative the story of Suzie and Ricky is in describing the different types of engineering to children. The audience and speakers were treated to a preview of the cartoon and the mini games on the website www.engineeringis.co.uk with the help of associates from Field Design who created the website. We also had some time to experience the games ourselves at the end, whilst networking with the guests in the room. Elizabeth Kapasa, the editor of the children’s book and an alumna of the university, later spoke about the book character conceptualisation and the “genuine joy [she] felt in bringing the books to as many children as possible”. Giving children as young as three of four the chance to watch the cartoon, play the game, and be introduced to the idea of engineering all while they are at home or in the classroom is a great way of instilling that engineering can be an option. That is where the Engineering Is campaign can make an impact. On visiting the website, you are able to download an electronic copy of the book upon signing up, see the media available but also download resources such as lesson plans developed with the help of experienced teachers. In a similar way to engineering a new product, bringing this campaign to life has taken a lot of thought and creativity. We need to keep pushing and supporting campaigns like this to challenge perception to make a difference. Where better to start than right at the beginning, where children are only just learning about the world without any preconceptions and make them ask the question what kind of engineer would they be? On behalf of the Women in Engineering Student Society, I would like to thank Sheli Smith for making this whole campaign happen. The event was attended by Pro-Vice-Chancellor Professor Mike Hounslow, Angela Smith MP for Penistone & Stocksbridge, Clive Betts MP for Sheffield East as well as representatives from the Royal Academy of Engineering, IMechE, WhereWomenWork, members of the WiE Society, students, alumni and members of staff from the Wall of Women.